Julia Aquilia Severa was one of the Vestal Virgins whom the Emperor Elagabalus became very attracted to at the time. Such a relationship was not without its risks. The punishment for a Vestal Virgin who broke her vows was death by means of being buried alive. Four such executions had taken place during the reign of Caracalla alone. Nonetheless, despite strong opposition from his grandmother Julia Maesa, Elagabalus divorced his wife Julia Paula and married Aquilia in 220 AD amid great outrage. 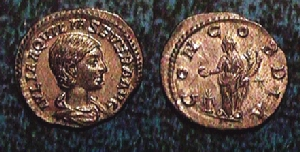 Elagabalus argued that he was the high priest and Aquilia the high priestess and thus perhaps the son of God might be born from such a union. The above medallion was issued showing this union between the two. Nonetheless, after a brief period of less than one year, Elagabalus had abandoned her for yet another. 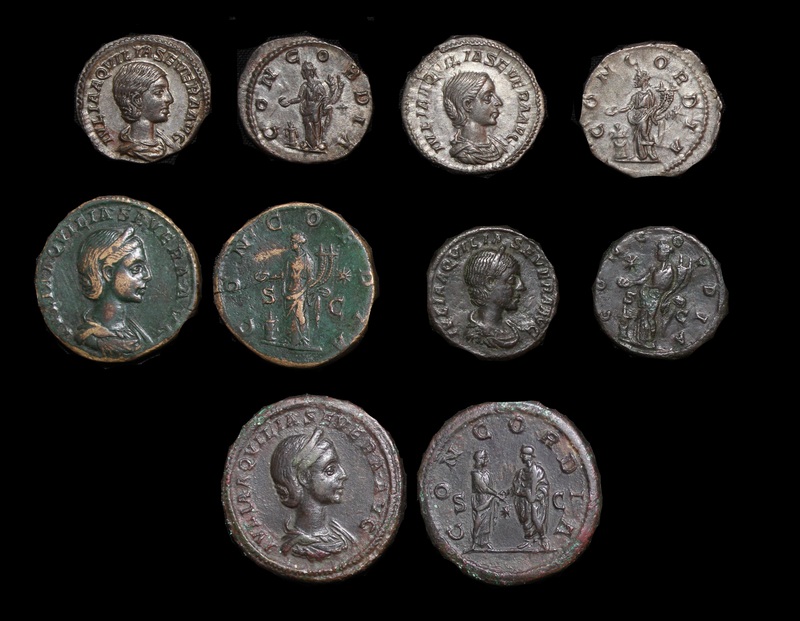 Aquilia was divorced the following year in 221 AD after he had divorced Annia Faustina. Still, it appears that Elagabalus did return to her later on as his sexual behaviour was anything but restrained.